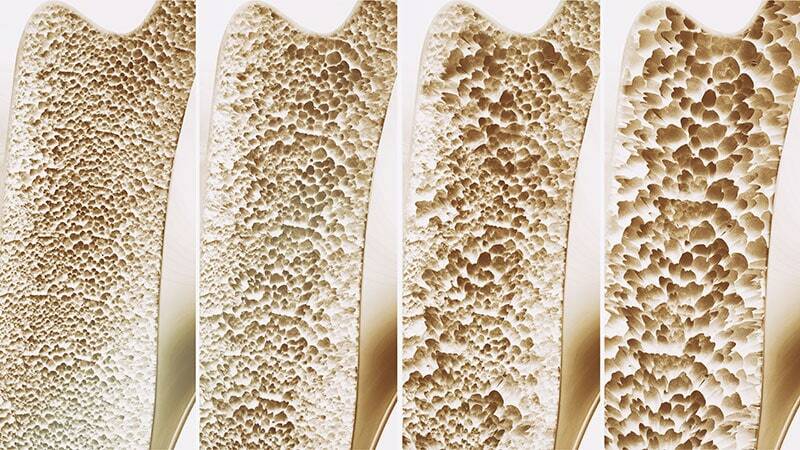 Are your bones healthy or holey? Do you know what medical problem is the most likely to affect a woman as she ages? Stroke? Breast cancer? Heart attack? Surprisingly, it’s breaking a bone due to osteoporosis. One in two women and up to one in four men over age 50 will break a bone due to osteoporosis. Though perhaps not as traumatic as those other three issues, osteoporosis can be life-threatening. According to the National Osteoporosis Foundation, six months after a hip fracture, only 15 percent of patients can walk across a room unaided. Twenty-four percent of hip fracture patients age 50 and over die in the year following the fracture. Throughout our lives we are forming new bone tissue to replace the old and estrogen supports the cells that form new bone. That’s why, as women (and men) age and estrogen decreases, we become more susceptible to osteoporosis. Bones are made of two kinds of bone tissue: the hard, outer shell and the inner, sponge-like tissue. Osteoporosis occurs as our ability to make new bone is greatly outpaced by the amount of bone tissue that we lose. The holes in the “sponge” get much bigger and bones become much weaker. 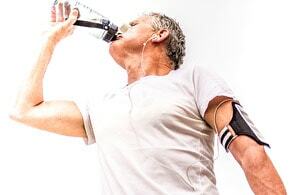 However, we have the power to decrease our risk of fractures with some simple lifestyle changes: by getting enough calcium and Vitamin D (crucial in controlling the absorption of calcium), increasing activity and muscle strength, limiting alcohol intake, and giving up smoking. Don’t take your bones for granted! Have your estrogen and Vitamin D levels checked. Talk to your healthcare provider about risk factors and discuss the benefits of hormone replacement therapy. It’s time to take better care of yourself so you can live the long and strong!